On Monday, November 12, 2018, James Edward Leonard Eldridge, known primarily by his chosen name, Æthelred Eldridge, passed away at the age of 88. He was an associate professor of painting at Ohio University’s School of Art and Design from 1958-2014. He is also one of the select few artists listed in the Dictionary of the Avant-Gardes by art critic Richard Kostelanetz. 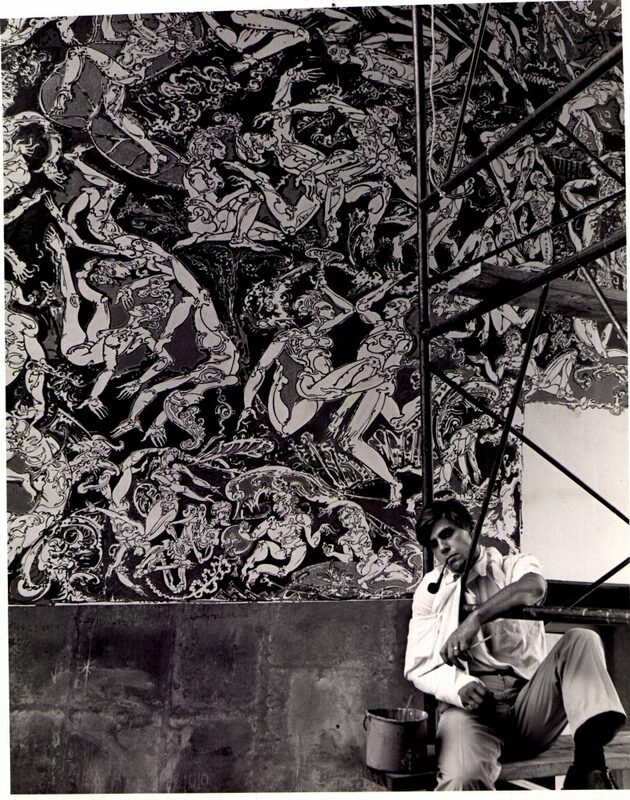 His work, which tended towards the esoteric, might be known most specifically in a regional sense by his 50-by-80-foot mural in the amphitheater of Siegfred Hall on Ohio University’s campus. McDiarmid is one of many of Eldridge’s students, colleagues, and friends who expressed that they were permanently changed by what several sources have described as the artist’s lifelong dedication to the championing of the outcast and the encouragement of the iconoclast. 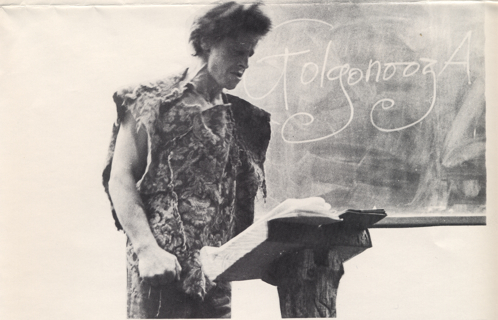 McDiarmid said Eldridge’s lecture classes were famously winding and poetic, often anchored in free association, philosophy, iconography, art history, and performance. 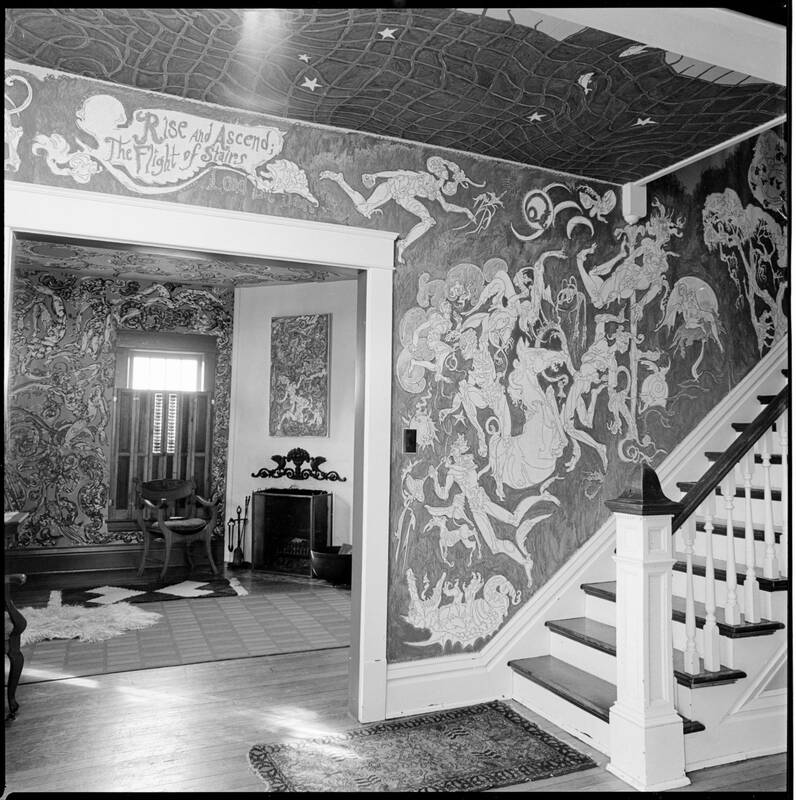 Beveridge said her initial exposure to Eldridge’s massive Siegfred mural during a tour of the campus was what sealed the deal on her choosing Ohio University as the college she would attend, and ultimately Athens as the place she would spend the entirety of her young adult life. 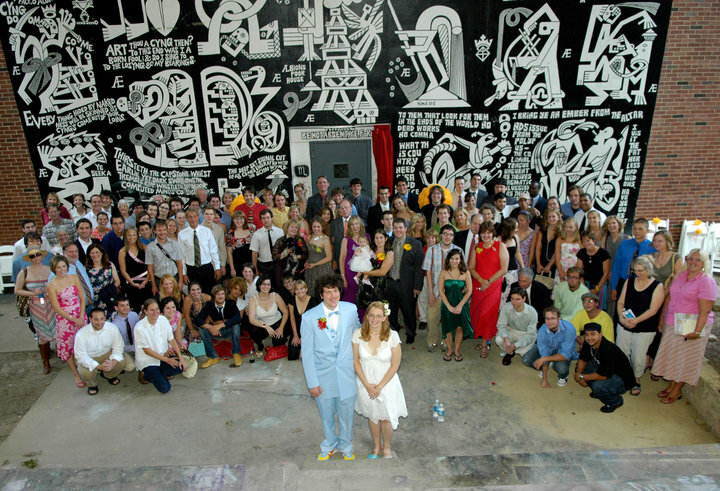 Beveridge would go on to marry her husband, Michael Bart, underneath the mural, in 2006. Beveridge is by no means the only student of Eldridge’s profoundly touched by the artists’ work. Athens’ Poet Laureate, Kari Gunter-Seymour, described her exposure to Eldridge as being deeply formative during a transformative portion of her life. 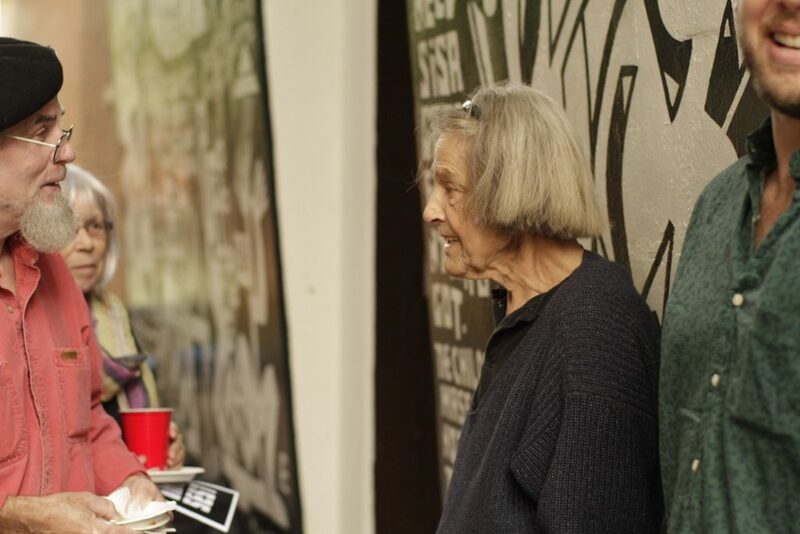 “I have to explain that at the time, I was a newly divorced, single mother who had just stumbled out of a holler in Meigs County and who was newly enrolled at Ohio University — and who was feeling very overwhelmed and out of place, when I stumbled upon Professor Eldridge’s class,” Gunter-Seymour said. John Kortlander, a professor at the Columbus College of Art and Design, is a former student of Eldridge’s. His father, Dr. William Kortlander, was a professor of art at Ohio University at the same time that Eldridge was. Kortlander recalls knowing Eldridge nearly all of his life. Kortlander and his friend, John Douglas, created a documentary about Ethelred years ago. At the time Kortlander was experimenting with film, and Eldridge seemed like a particularly interesting subject for the media. Karla Eldridge is one of Eldridge’s children from his first of three marriages. She distinctly remembers the safe haven that Morris Avenue, where Eldridge’s family lived early in the professor’s Ohio University career, was to her as a child. Due to her academic parents and neighbors, Karla was exposed to an explosive variety of art and academic thought, sometimes solely from overhearing complex conversations at her parent’s cocktail parties. 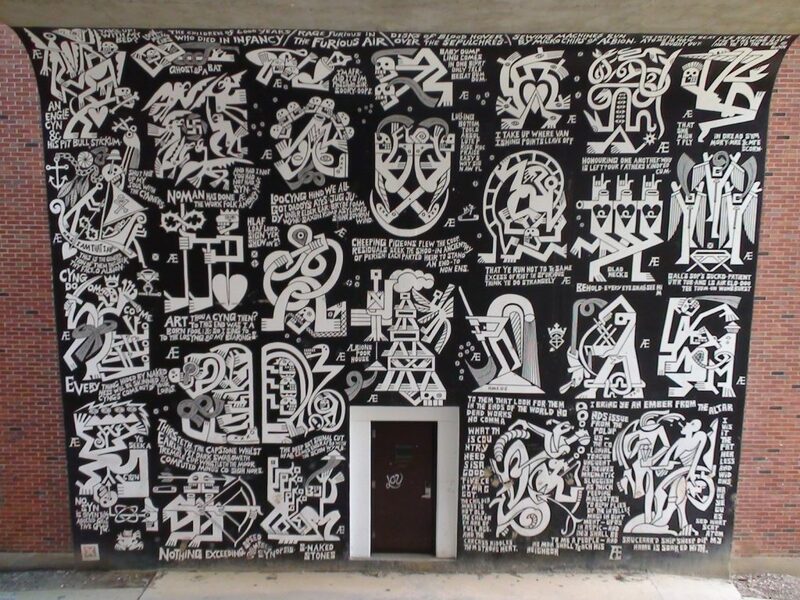 Æthelred Eldridge’s artistic style changed throughout his lifetime, eventually settling into the hyper recognizable, geometric shapes accompanied by esoteric texts inspired by William Blake. 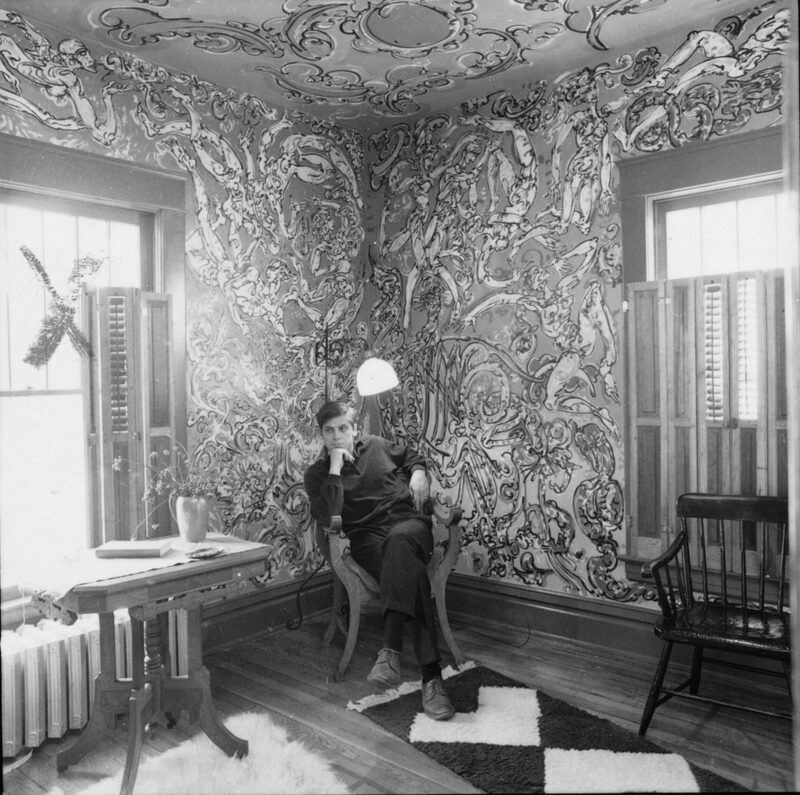 Although Eldridge is inarguably important to the art world, he had no intentions of only appealing to people who studied art in an academic sense. McDiarmid cites Eldridge’s deceptively simple group projects assigned to his lecture classes for much of this profound impact. A memorial service for Æthelred Eldridge will be held at The Ridges Auditorium (Building 23 on The Ridges compound, 100 Ridges Circle, Athens, OH 45701) starting at 2 p.m. on Saturday, December 1.